HUF property can be constituted by a Hindu Father when he decides to unite for the purpose of constituting the Hindu Undivided family and for the purpose of a creating a joint and common pooi of assets to be used for the purpose of the benefit of the whole family. The essence for constitution of HUF by own will/choice of a Person is this common cause. Once a Hindu father decides to constitute a HUF, it is advisable to request a close relative or friend to gift of a sum of money or gift in kind who essentially settles this sum for the purpose to the HUF and to be kept as corpus of the HUF for use absolutely by the family. This sum of money or gift in kind acts as a corpus of HUF in such cases. It is important to note here that according to Section 56(2) (vii) of the Income-tax Act, 1961, gifts received in aggregate from any person of any immovable property or specified property or money in excess of Rs. 50000/- in any previous year is taxable as Income of the donee and theifore, it is better to keep the amount/value of gift to a sum less than Rs. 50000/- so as not to attract the provisions of Section 56(2) (vii) as above. It may be noted that in respect of gifts above Rs. 50000/- in so far as the basis of valuation is concerned the stamp duty value is applicable in case of immovable property and the fair market value is applicable in case of any property other than immovable property. 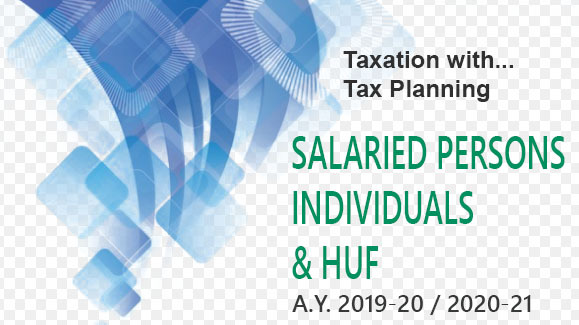 With retrospective effect from 1st Octoher,2009 new rules 1W and 11UA have also been inserted in the Income tax Rules, 1962 prescribing the method of determination of fair market value of property other than immovable property for the purpose of Section 56 vide Income-tax (Second Amendment) Rules,2010. reported at (2010) 322 ITR (St.) 25. Once this Gift is received, the amount can be deposited in a Bank account to be opened in the name of HUF. Once the gift is received and deposited in the Bank account, the HUF property comes into being and the accumulations/accretions in the corpus fund are treated as either capital or revenue receipt depending upon the nature of the receipt. Generally it is better to get the gift from one’s father or mother so that concept of ancestral funds of Family is continued in the Corpus of the HUF which is created on receipt of the Funds. However in all cases, the gift should be genuine. Burden to prove the identity, capacity and genuineness of the donor is on the donee else, the value of the gift as arrived at herein at would be assessable as Donee’s Income from undisclosed sources. Declaration of gift should be well worded, duly signed by the Donor and accepted by the Donee. Reliance can be placed on the decision of the Apex Court in the case of Pushpa Devi vs CIT (1977) 109 ITR 730(SC).